School was running late. The kids were restless and getting hungry. And the Bible lesson was on God’s faithfulness to the Israelites through providing daily manna. 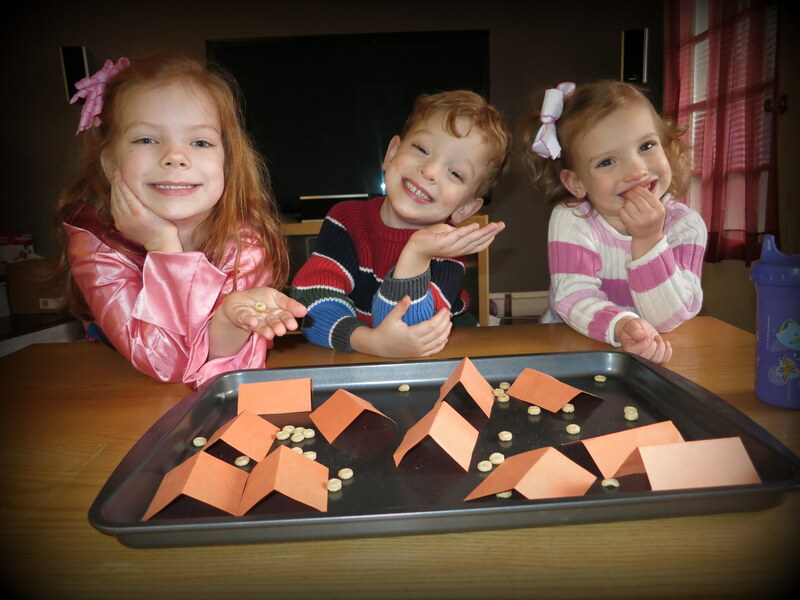 Who knew that Cheerios as manna and little squares of construction paper folded for tents would be such a hit with the kids? and would speak to my heart too? As a homeschool K-5 teacher, I love teaching Bible most of all. There is always something in the Bible lesson for me, even though I may have heard it a dozen times. In today’s lesson the people of Israel complained to Moses, fearful that they would die of hunger. God’s people had forgotten His miraculous way of rescuing them from the land of Egypt. They had forgotten His faithful leading with the cloud by day and the pillar of fire by night. They were not remembering His daily provision for every single one of their needs. God again showed His power through His promise to send manna, a special bread from heaven, every morning and quail each evening for dinner. God is always faithful to me. God has proved Himself in my life many times–even miraculously. Yet I doubt. I worry. I’m afraid. I don’t trust Him. God promises to give me everything I need. He wants me to trust Him. He always knows what I need. Sometimes I forget His promises. I ate Cheerios with my kids and remembered. I’m so thankful for the opportunity to teach my kids Bible–and at the same time, to rest in these truths as God uses Cheerios to gently remind my heart too of His faithfulness to His promises.